The agility and responsiveness of small businesses is a major competitive advantage. However, technology and professional support tools that enable people to communicate and collaborate efficiently are often priced beyond what is cost-effective and viable for smaller companies. With true voice and data convergence a reality you can now stay in contact wherever you go. Samsung’s range of handsets and other User-End-Points offer a wide variety ergonomically designed terminals, suitable for use in the office, at home or in any wireless-enabled location, such as a hotel or other office. 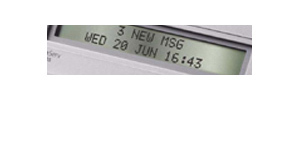 Stylish and easy-to use, each handset is designed to maximise the benefits of the system’s functionality - and to give users the appropriate feature set and access levels for their individual needs. Whether that is a simple telephone, Wireless, Softphone or a fully-featured handset with LCD display and programmable functions. Selected Samsung handsets are available in digital or analogue configurations, providing identical features and functionality to the user. That means that users have indistinguishable functionality and access to the system, whether they are connected as traditional keysets or remotely via external data connection, such as DSL. As technology advances, you can be sure that Samsung will be at the leading edge of the revolution, keeping your business ahead of the game. OfficeServ 7000 series has a comprehensive range of features and functionality and offers an effective, affordable solution for any organisation. 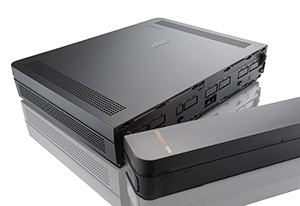 So, whether you are a small office, a head office or a branch of a larger organisation with a need to take advantage of cutting-edge solutions, the OfficeServ 7000 series becomes the heart of your communications network. Cost Effective Messaging Solutions from Samsung. The OfficeServ Voicemail family (OSVM) offer a powerful choice of messaging solutions that are not only cost effective but can also deliver the benefits of voicemail and call processing to any working environment. 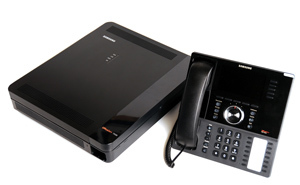 The OfficeServ Voicemail family consists of 4 members, the OSVM400, OSVMi2, OSVMi4 and the OSVMi8. 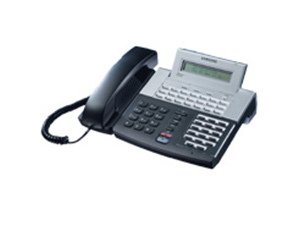 Providing 2 to 8 ports of voicemail for the range of Samsung Communication systems. 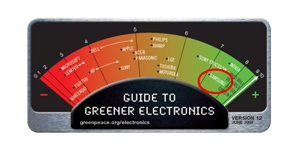 In September 2009, Greenpeace announced its latest guide to Greener Electronics & Samsung maintained its number 2 slot for the third time this year. Samsung beleives in strongly working towards having greener products & emiliminiating absolouite emmisions of greenhouse gases, increasing its renewable energy& recycling rates.Samsung Reasearch & Development team are constantly working to improve our products green credentials to provide our customers with a solution that saves them not only money & time but reduces their carbon footprint.